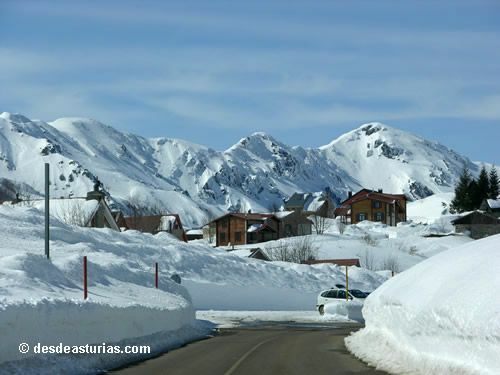 The three Asturian enclaves have great facilities to enjoy the snow and allow the skier to stay in hotels and quality rural houses. In addition, the Cantabrian mountain landscape in which they are registered allows other practices associated with adventure sports or hiking. Adventures, activities and excursions that we can do at any time of the year. 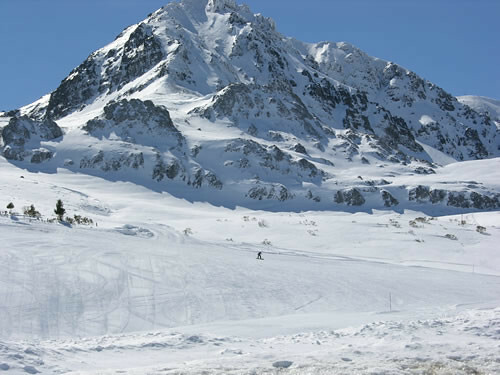 Asturias has three ski resorts prepared for all lovers of this sport. In the council of Lena we find the tracks of Valgrande de Pajares, and in the Asturian border, in the vicinity of the council of Aller, there are the stations of San Isidro and Fuentes de Invierno. Presents optimal conditions of innivation. Its higher altitude helps keep the snow for longer. Little by little, San Isidro has become one of the most important ski centers in the national territory. Currently it is placed at the head of the winter seasons of the Cantabrian Mountains. 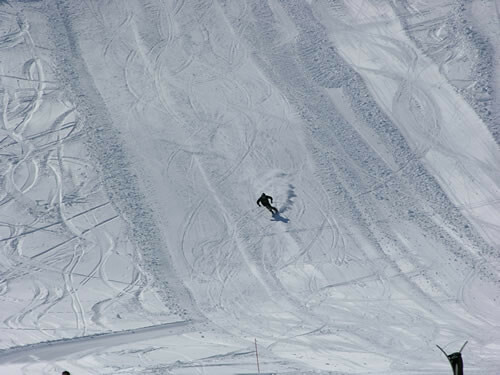 Over 23 kilometers of ski area, and with good possibilities of extension, the station adds 24 tracks for skiing and snowboarding (2 greens, 8 blue, 11 red and 3 black) as well as five off-piste routes and non-marked bottom circuit. The tracks and lifts are divided into four sectors perfectly connected to each other that in turn are divided into two distinct areas. The high zone is between the 1.680 and the 2.000 meters of altitude, and includes the sectors of Cebolledo, Requejines, and Riopinos. The low zone, located between the 1.520 and the 1.640 meters, includes the sector of Salencias - La Raya. Depending on the area in question, the skier has the possibility to choose one or the other according to his level of skiing, whether it is initiation, medium or high. In San Isidro we will also find 53 "giraffe" artificial snow cannons in the area of ​​Cebollero, which ensures the quality and quantity of the snow throughout the entire season. For the more adventurous, this center brings the feeling of freedom and tranquility of off-piste skiing. Some routes such as "Tubos del Toneo", "El Valle del Silencio" or "Pico Agujas" are preferred by lovers of this modality. From the station, departures are organized with groups of monitors and expert personnel who know the area perfectly and who will help us discover the beauty of the places that surround the winter center. 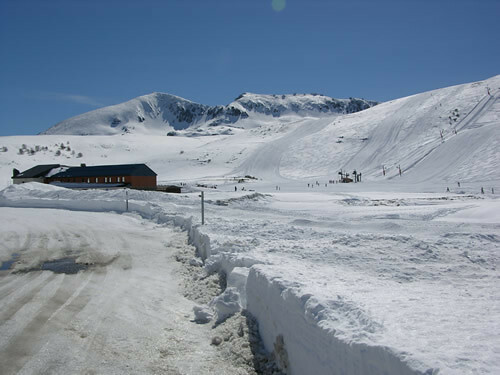 The station is in charge of a total of 60 teachers, all of them trained to impart Alpine skiing, Nordic skiing, carving, telemark, snowboarding, competition training and race preparation and marking. It is a more modest ski resort, but due to the great variety of tracks it has and with its modern facilities, it can satisfy any skier - snowboarder worth his salt. 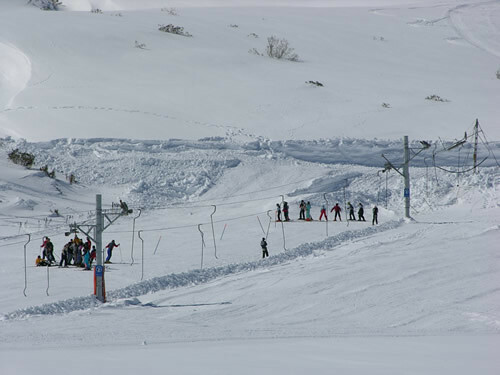 In 1953 the first lifts are installed, being one of the oldest ski resorts in Spain. 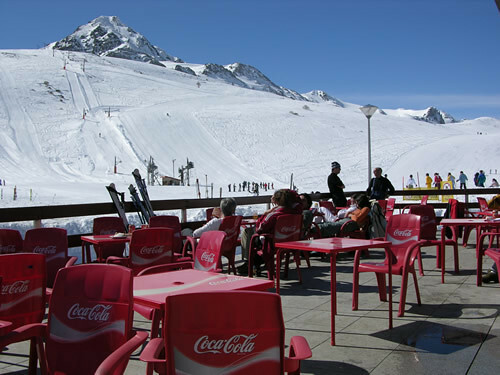 It has, like San Isidro, a ski area of ​​23 kilometers. Of them, and thanks to the investments made in the last years, 3 kilometers are totally innivados. Artificial snow, the construction of a new ski lift, as well as the adequacy of its accommodations and the installation of several kilometers of wind-breaker converts the center into a modern and well-equipped place. On weekends and holidays, the resort offers the possibility of practicing 19 night skiing: 00 to 22: 00 hours. 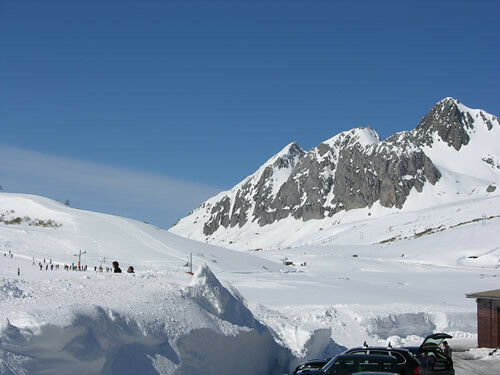 And if you are interested in cross-country skiing, there are a series of mountains that exceed the 2.000 altitude meters to few kilometers that are ideal for this specialty. Pajares is also a privileged area for active sports outside of the snow season. In this sense, important investments have also been made to improve their training for hiking, mountain bike routes, trial, routes 4 × 4, canyoning or paragliding. 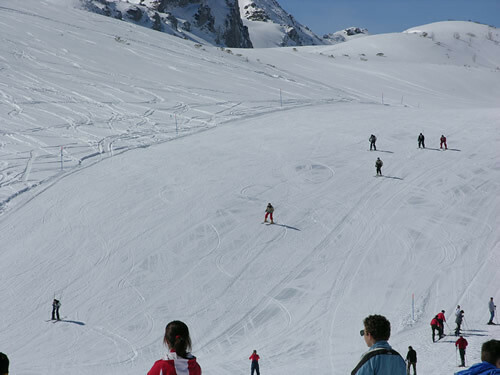 It has 14 ski slopes with different difficulty levels reaching 8,39 Km long. The transport capacity of the ski lifts is 8.200 people per hour. With this structure of ski lifts and slopes, the winter season can accommodate a total of 2.800 skiers per day, and is presented with a very good compensation of slopes and ski lifts, where all types of ski levels, from the initiation to the expert, can find varied tracks and adapted to their needs with the aim of enjoying the maximum of white sport. The province of León and in the municipality of Puebla de Lillo (Alto Porma region), extending between an altitude of 1500 to 2100 m. above sea level. It has a capacity of 11.960 skiers / hour. Thanks to its border situation between two autonomous communities, the station can be accessed both from the Leonese and the Asturian slopes. From León (by Valdelugueros): new access by the LE-321 road (La Vecilla - Puerto de Vegarada) following the course of the Curueño river to end in the Riopinos area. From León (by Boñar): N-601 road. Direction Valladolid to Puente Villarente. Deviation direction Boñar by provincial road P-1 until Boñar. From here, 331 road towards Puebla de Lillo and 15 Kms of this municipality is San Isidro by the 332 Comarcal. From Oviedo: take the A-66 highway from Oviedo to Ujo and turn off towards Cabañaquinta and 253 to the San Isidro port. From the Puerto de Pajares we will link to Curueño from Villamanín passing through Carmenes (LE-312). We descend towards Matallana until the detour to the Collada de Valdeteja (LE-313), which leaves us on the road that accesses Valdelugueros (LE-321). Distances of interest León: 83 Km - 68 Km (Riopinos). Oviedo: 66 Km. Valladolid: 202 Km. Madrid: 415 Km. La Coruña: 350 Km. Regular line of transport: Empresa Fernández (ALSA), León. 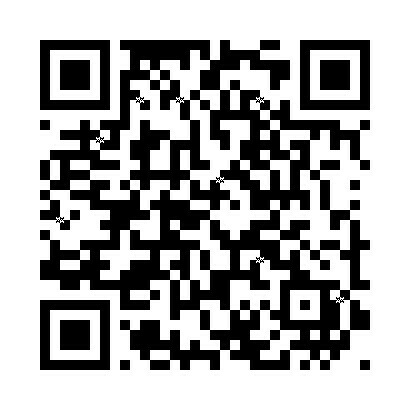 Tfno 987 226 200. The station is perfectly communicated to users, by road, rail or air. Its privileged location allows arrival in approximately 45 minutes from Oviedo or 60 minutes from León, by car or bus. Currently there are regular bus lines that depart from Oviedo, Pola de Siero, Mieres and Pola de Lena every weekend to the station. From Asturias: A-6 motorway from Oviedo to Campomanes where you must leave the highway and take the N-630 national road to ascend the port to the station. From León: take the N-630 from León to La Robla, Busdongo and 600 meters from the coronation of the port take detour to the Brañilín (station). 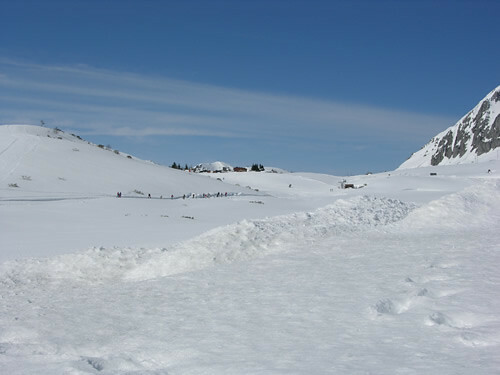 Sources of Winter It is located in the central area of ​​the Cantabrian mountain, specifically in the council of Aller. The winter station is accessed through the new road that starts from the current AS-253 with a length of 577 m. and slope less than 6%. It has 2 parking platforms, one consists of 3.080 square meters and has a capacity for 30 buses, and the other has 6.300 square meters and a capacity for 252 cars.